There is an underlying assumption in the social sciences that consciousness and social life are ultimately classical physical/material phenomena. In this ground-breaking book, Alexander Wendt challenges this assumption by proposing that consciousness is, in fact, a macroscopic quantum mechanical phenomenon. 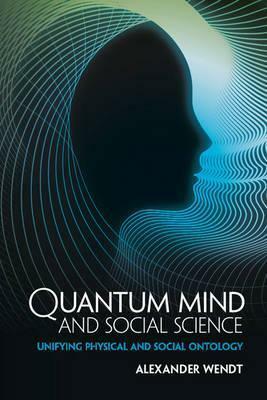 In the first half of the book, Wendt justifies the insertion of quantum theory into social scientific debates, introduces social scientists to quantum theory and the philosophical controversy about its interpretation, and then defends the quantum consciousness hypothesis against the orthodox, classical approach to the mind-body problem. In the second half, he develops the implications of this metaphysical perspective for the nature of language and the agent-structure problem in social ontology. Wendt's argument is a revolutionary development which raises fundamental questions about the nature of social life and the work of those who study it.